In my team, we use Selenium for automation of functional testing. We also do a lot of manual regression testing to make sure the appearance of the rendered web pages is ok. I would like to develop a framework, that would allow comparing screenshots of the "base" live web page, and the web page on the test server after applying the software update. I believe this will drastically reduce the amount of manual regression testing we need to do. I have never worked with image processing and would need ideas on what algorithms are already publicly available that would help me with the task. From what I can see, the simple pixel-by-pixel comparison would not work well, because it does not account for the concept of elements. Or am I approaching this problem from a completely wrong direction? I'd take a look at Google QualityBots. It's generally used for comparing websites on multiple versions of Chrome, but looks very similar to what you are trying to do. I personally haven't had time to try it out myself mainly because of its use of EC2 machines. Other than that, it is open source. Imagemagick, a cross-platform imaging library and command line tool, has functions that can be used to compare images. A team I worked on circa 2012 used it with pretty good success to determine if two images differ. We had built a GUI with the same library that could pull the two images up side by side and highlight the differences for a human to decide whether the differences are significant. I'm not sure if this would be what you're looking for, but, have you checked out sikuli? I've never used it myself, but, I've seen it recommended here a few times for the same type of tests. Here is a tool that will make visual comparison of different versions of your website dpxdt. Here is a video explaining how the tool works and how to use it: The Secret to Safe Continuous Deployment. And finally, here is a guide how to implement it with Selenium. It checks that CSS renders correctly by taking screenshots of portions of a website and comparing them against known good screenshots. It also provides tools for testing calculated CSS values and the position of HTML elements. Here's another one to throw into the pot, the BBC open sourced something that they use called Wraith, it's available on GitHub. You'll need either PhantomJS or SlimerJS, ImageMagick & Ruby 1.9.3 or greater. It's up to you to decide which browser engine you want to run it against. It works on Windows, Linux and OSX. There should be opensource frameworks for image comparison out there. So you could use your existing Selenium stack to navigate through pages, then trigger given image processing framework. I also worked with one guy, that did browser automation in AutoIt, and implemented in it image comparison. But later he switched to some external library for image comparison as it was fast. For Selenium2 you could start with this link. I agree with DuncN in many regards. Maybe a proof of concept would be helpful to try out before committing a great deal of time to it? There are paid services that have almost zero setup time and would tell you quickly whether the idea itself will be helpful like MogoTest, which I have used in the past. It isn't free, but is fairly cheap and might be good to pull examples from for your own development should you choose to develop on your own. Although it doesn't use screenshots, i.e. it is not pixel-based, you could use recheck-web (disclaimer: I work for retest, the company behind the project). recheck-web is open source and based on recheck, which maps graphical user interfaces (and more, e.g., log files) to a special data model that enables you to detect visual regressions, but also non-visible changes such as CSS attributes or link targets. recheck-web, respectively, recheck essentially follow the principles of Golden Master Testing and Whitelist Testing. // Use the default implementation. // Set the file name of the Golden Master. // Do your Selenium stuff. // Single call instead of multiple assertions (doesn't fail on differences). // Conclude the test case (fails on differences). // Produce the test report. You can review test reports and maintain your Golden Masters either using recheck.cli (free) or review (paid). There's also a simple old school method of comparing a given screenshot/image to a reference one in checking that they have the same MD5/SHA1 hash. That unfortunately likely may not work for screenshots of whole web pages. But it will at least work for comparing of individual images on a web page. Thought I'd point it out though. Last but not least: easy maintenance. If you made a legitimate change to the page - and all the tests failed (as they should) - you want to approve the change only once and have it automatically approved across all the steps. Otherwise you're facing the nightmare of going through all your tests and approving it. As @user3210346 mentioned - pay a little money and use Applitools - as they are currently the only company that provides all of what I mentioned above. I've had great experience with their product and they are very inclined to listen and add capabilities. Good visualization report by D3 library. You can also generate the visualize user flow. 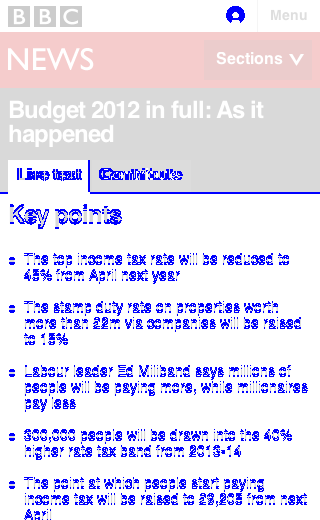 The screenshot quite stable from the PhantomJS headless browser. A new contender that works well is Ghostinspector There are free and paid versions. You can set a tolerance and also target by css selectors, both great features. I would not suggest using image comparison because exist much faster and easiest way to get precise results. Automation framework is a powerful tool for visual testing. It works using calculation, without CSS or image comparison. Works super fast-here is on GitHub with examples of how to use it. 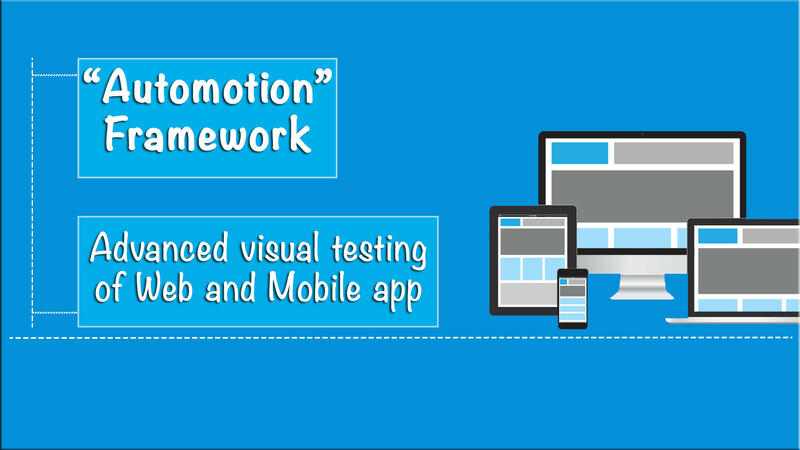 It sounds like what you are looking for is adding Visual Testing to your Functional Testing. Try out using Applitools. Here is a good article on Selenium Based testing using Applitools. There is a project called "automated-screenshot-diff". You should give it a try. It's a npm package used to compare images/screenshots. If you take a look at the examples folder you will see an example of how to take those screenshots dynamically with casperjs and then you can compare it using automated-screenshot-diff. automated-screenshot-diff generates a perceptual diff from image A - image B and I think that is pretty much what the question is about. Also... the project is able to generate a comparison report in JSON and HTML (to store as a Jenkins Artifact). Then automated-screenshot-diff will scan your screenshot's folder and calculate differences between your pre-production (stage) release and your production release. 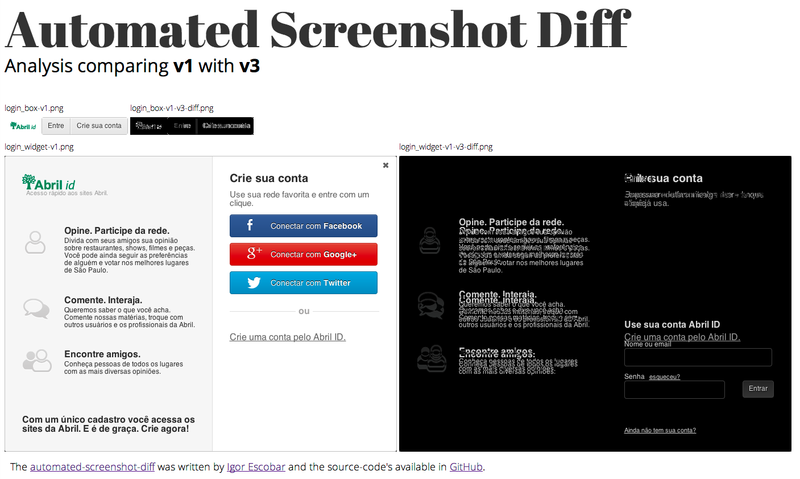 All generated image diffs will be in the same directory as your screenshots. If you don't know how to generate those screenshots, take a look at examples folder. Just take 5 minutes to take a look at the project page. Not the answer you're looking for? Browse other questions tagged automated-testing selenium functional image-based-testing or ask your own question. How to verify two images using Selenium WebDriver? When should I start doing performance testing of a web-app? How to select few text lines using Robot Framework? How can I organize my Specflow test cases?